Let’s save the ugly paprikas! Damn Food Waste! Meet Kim, a 27 year old epicurean pur sang. She likes cats, loves day dreaming and adores red wine. Her quest in life is to constantly look for Amsterdam's hidden gems and become a walking encyclopedia of Amsterdam's best spots. How much of the food you buy ends up in the trash bin to feed the street cats? I try to buy only what I need, but I often buy my food on an empty stomach so the cats in my street enjoy a three course meal on a regular basis. This means happy times for the cat community, but not so happy times for mother earth. This food waste not only means a waste of the food you throw away, but also a waste of nutritious substances, water, energy and soil. Worldwide we throw away a third of our food! In The Netherlands this means 110 pounds per person every year. This is not only because of us, the consumer though. Mostly, it’s food that farmers can’t sell because it doesn’t meet consumers’ requirements; food that passed the Best Before date and is thrown away by supermarkets. This Saturday, on June 29th, Damn Food Waste is cooking up a delicious lunch for 5000 people on Museumplein, made out of food that otherwise would have been wasted. For free! They will prepare a delicious soup made out of a big pile of vegetables that will otherwise end up as trash because of aesthetic reasons; too crooked, too small, too big, too ugly. By serving this lunch, Damn Food Waste is trying to prove to everyone that these products still make a very tasteful meal. 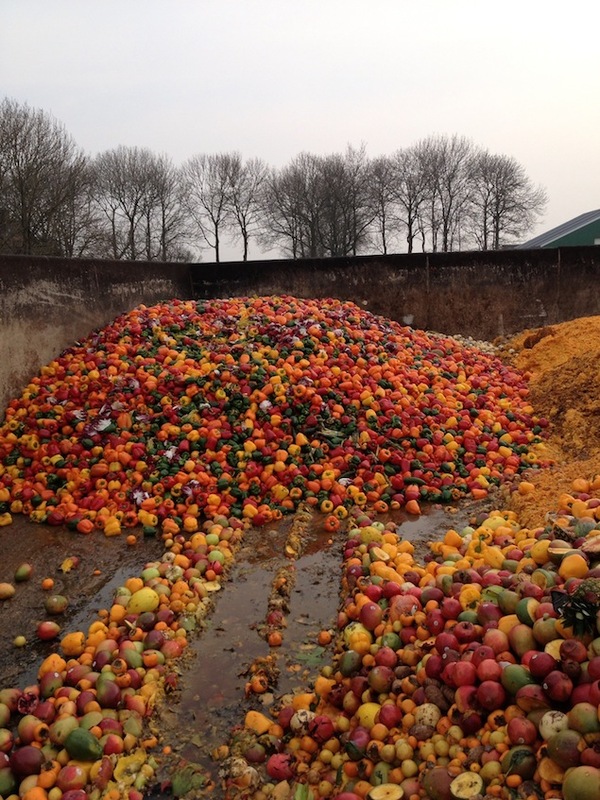 So hopefully the supermarkets, farmers, governments, organisation and you, the consumer, will help them to stop this unnecessary food waste! So come join this food fest by giving your stomach a veggie treat and support this very good cause. But there is more. After you’ve enjoyed your lovely soup, it’s dancing time. Youth Food Movement is hosting the Discosoup with some help from Paardenkracht & AIR. Or when your stomach is begging for more food, go visit the different food stalls of The Food Line-up and try a goosebitterball made by Het Vergeten Dier. You can check the entire program on the website. Not able to attend this event, but still wanting to demonstrate your support? You can also sign the online petition. Or even better; do both! Damn Food Waste is an initiative of different organisations such as FoodGuerilla (NCDO), Wageningen UR and Youth Food Movement (YFM). It’s their goal to get consumers, organisations and governments involved in the fight against food waste.